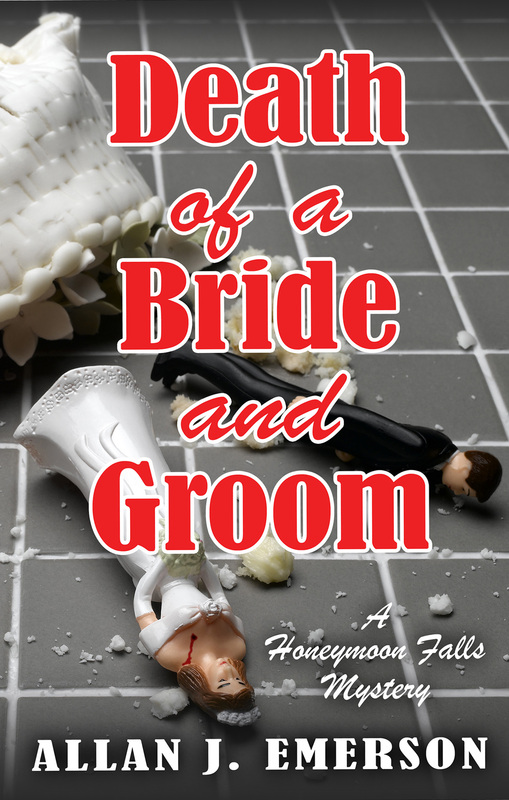 Special Guest – Allan J. Emerson – Author of Death of a Bride and Groom – Giveaway too! Death of a Bride and Groom was just released on May 20. From the time I was 7 or 8, I made up stories to tell my younger brother. I was a very obliging storyteller: if a character died or lost his magic powers and my brother didn’t like that, I usually changed the plot until he was satisfied. Occasionally I resisted, if what he wanted was going to ruin the story. (Turned out to be good practice for dealing with editors later on.) When I grew older, I wanted to be a singer, which seemed like just another type of storytelling to me. Unfortunately, I couldn’t sing, so my next idea was to be an actor. Unfortunately … you guessed it. The one thing that always made sense to me was word spinning–I loved words and the ways they could be put together to make a story. It never occurred to me that this could be for anything other than my own entertainment, or that people actually did this as an occupation. So I got a job to pay the bills and continued to write when I could. I began by writing literary short stories, which has to be the toughest market for any writer, let alone an unpublished one. They were all rejected, with once in a while an encouraging note sent with a returned manuscript. Although I never got anything published, I did learn a lot by writing those stories. After collecting a box of rejection slips (and why do writers save those, I wonder) I began to think about writing a novel, but it seemed a gigantic task, akin to the 50-year undertaking to carve a mountain into the likeness of Crazy Horse. Still, one day I sat down and started with one scene: the discovery of a pair of bodies dressed in wedding clothes on top of a parade float. The result wasn’t “literary” but it was fun. I wish I could say it all came easily after that, but the truth is it took a long time. I wrote off and on, deleted chunks that didn’t work, then figured out how to make them work and put them back, then took them out again and substituted something else. Gradually, the material began to take shape. The characters assumed form, inhabited their world and started to act with purpose. Eventually I had Death of a Bride and Groom . One day, shuffling through the usual harvest of “no thanks, not quite right for us” rejections, I noticed one that said “we like it and we want to publish it,” or words to that effect. After re-reading it carefully forty or fifty times, I thought hmm … they sound interested. And they were. Now in the movies, after the book is accepted the writer goes off, has a few drinks and next thing you know, he’s ogling piles of his masterpiece in bookstore windows. That’s not quite how it works in real life, at least not nowadays. The next stage in the process is the waiting. Waiting to hear anything more from the publisher. Let me repeat that: The … W..a..i..t.i…n…g. (Say it out loud in a hollow voice with a dying fall and you’ll get the idea.) Have they forgotten all about you? Suddenly realized they were out of their mind when they offered to publish and hunkered down hoping you’ll go away? Gone bankrupt? Then one day, there’s an email with an edited copy of your manuscript. This is where you get the rude awakening that your creation isn’t quite as perfect as it seemed to you when you first sent it off. In spite of the fact you read and revised every single sentence at least a dozen times, and you were the star pupil in your English class, you discover that your mastery of grammar and syntax may not quite be at the level you’ve always thought it was. And that some of your cleverest turns of phrase aren’t comprehensible to anyone but you. And that consistency in spelling some of your characters’ names may not be your strong point. Fortunately, the edit process seems to have something like the seal of the confessional about it–only your editor will know that neither you nor Spell Check had a problem with a car’s “breaks” failing. After the edits, you’ll need to supply a photo for the dust jacket. Strangely enough, every single one available will make you look like either a shifty-eyed crook or the Creature from the Black Lagoon with a killer migraine. Think you’re finished? Nope, the publisher wants you to publicize: do press releases, book readings and signings, play up your connections with celebrities. But who’s going to turn out for these events if no one’s ever heard of you, and the closest thing to a celebrity you know is a supermarket cashier who was in the news when her purse was snatched? Beats me, but I’m marching my literary offspring into public view. I hope you’ll feel like keeping us company on the trip and introducing us to a few of your friends. 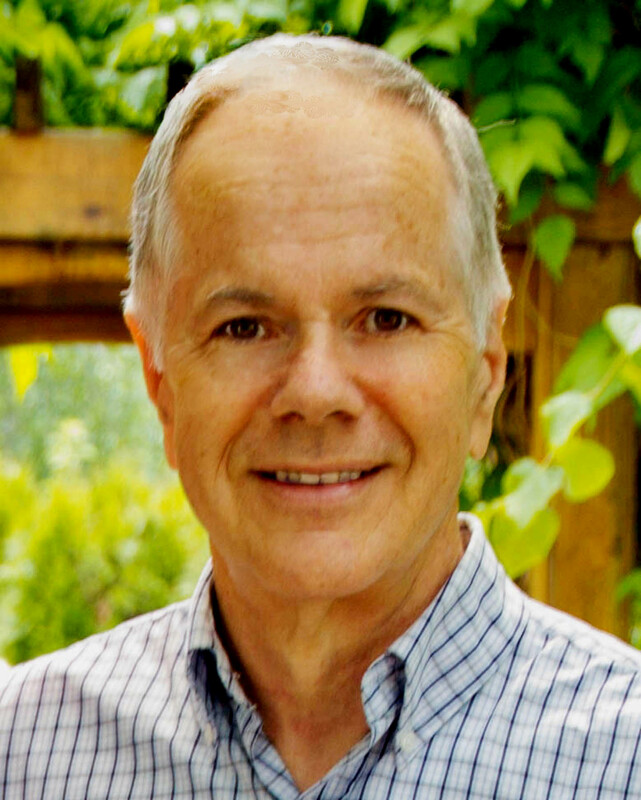 Allan J. Emerson was born in Saskatchewan and grew up in small towns there and in British Columbia. He lived in Australia and New Zealand before marrying and settling on the west coast. Thanks to Allan I have 1 copy to giveaway!! Leave a comment for Allan for 5 Bonus Entries. A great sounding book. Author has a great sense of humor. Thank you for sharing the tale of your publishing odyssey. Glad folks are enjoying the interview. Patricia, maybe we do have the same editor! I’ve now written seven novels for Five Star/Gale/Cengage, and it is a slow demanding process. The good news is they put out a quality product that you can be proud to have your name on. Very true, Jacqueline–we’re lucky to be published by them! Your story is great. Bet the book is, too! You are so funny! I am looking forward to reading our book. Thank you for writing it. Thanks for the great feature and intriguing giveaway. Thanks everyone–you sound like my kind of readers! I wish everyone could win a copy …but then, that would mean no sales… uh oh…publisher ain’t gonna like that…if you see him, don’t mention I said that, okay? Living proof that patience is a virtue. This sounds interesting, and different! The longer to get published, the better the story – and the more inspired will be the future writings! Thank you for the interview and chance to win! I would not have had your patience. But I think I’ll like your results. This sounds like a great new series that I would love to read. This sounds like a good book. I hope I win a copy. Review/Giveaway Bubba Done It by Maggie Toussaint Great Escapes Book Tour Special Guest – Maureen Howard – Author of Sunny Side Up – Giveaway too!